Today is the last day of 2015. While this year held many amazing opportunities, it was a rough one personally. We said goodbye far too many people. It was a year of discovery, a year of sorrow and a year of personal growth. 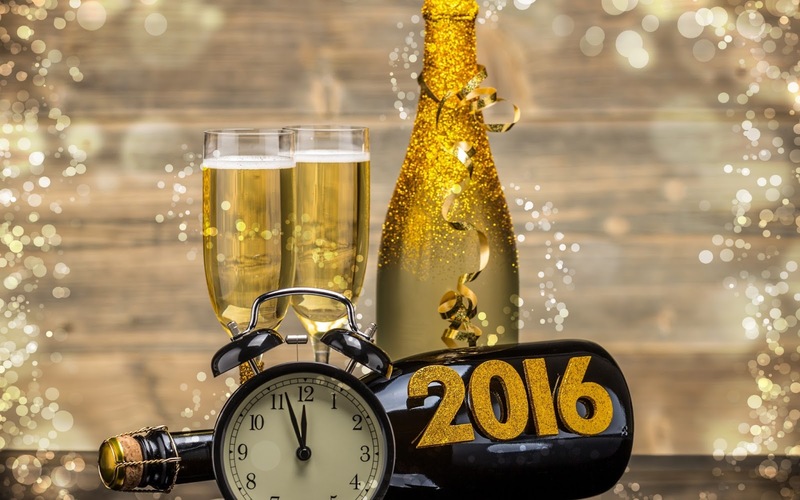 2015 was an emotional roller coaster and I am looking forward to cheering in 2016 at midnight. Here's a look back on 2015! 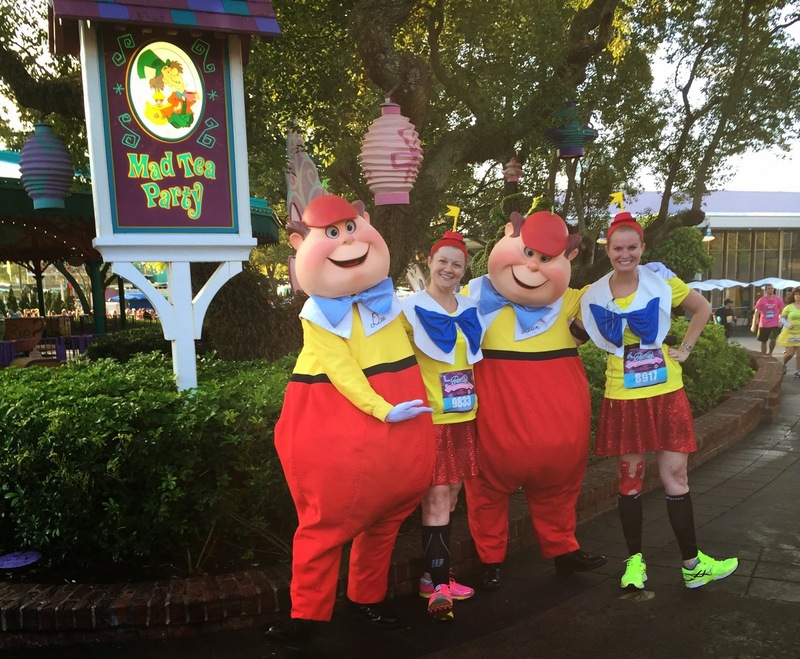 My best friend Keri and I ran the 2015 runDisney Marathon. It was her first full. While this was my 4th full, it was my first time running this distance with someone. All prior fulls I ran were solo. It was an awesome 26.2 miles and I was so happy to cross the finish line with her, glass of champagne in hand. We celebrated by going on a 4 night cruise on the Carnival Sensation. It was the perfect way to celebrate our 26,2 miles. Nothing is better than some fun in the sun and total relaxation. 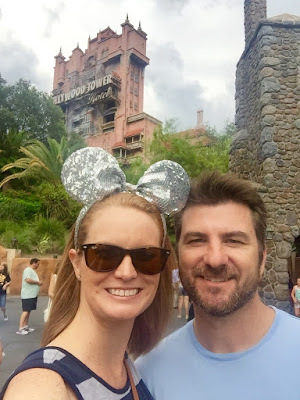 In fact, we are doing this exact scenario next weekend, except we are running the runDisney Half marathon followed by a 7 night cruise on Carnival Valor! 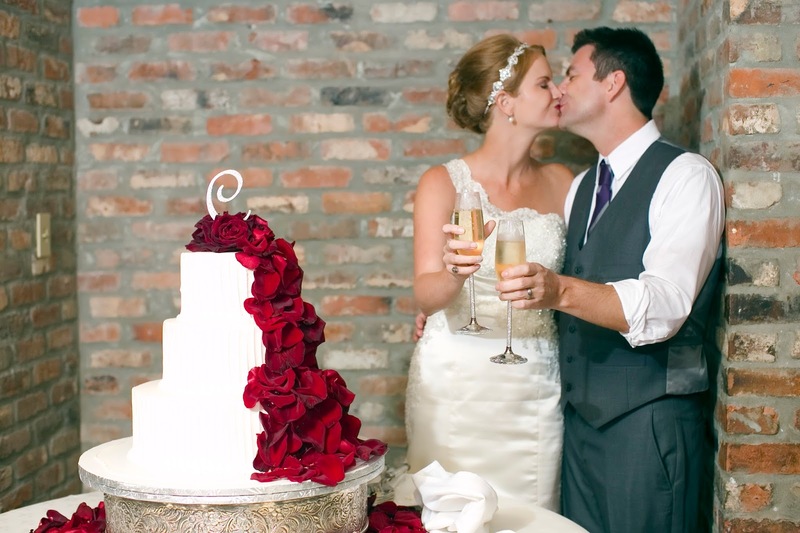 My husband Gabe and I went back to New Orleans, 4 months after we had our destination wedding there. 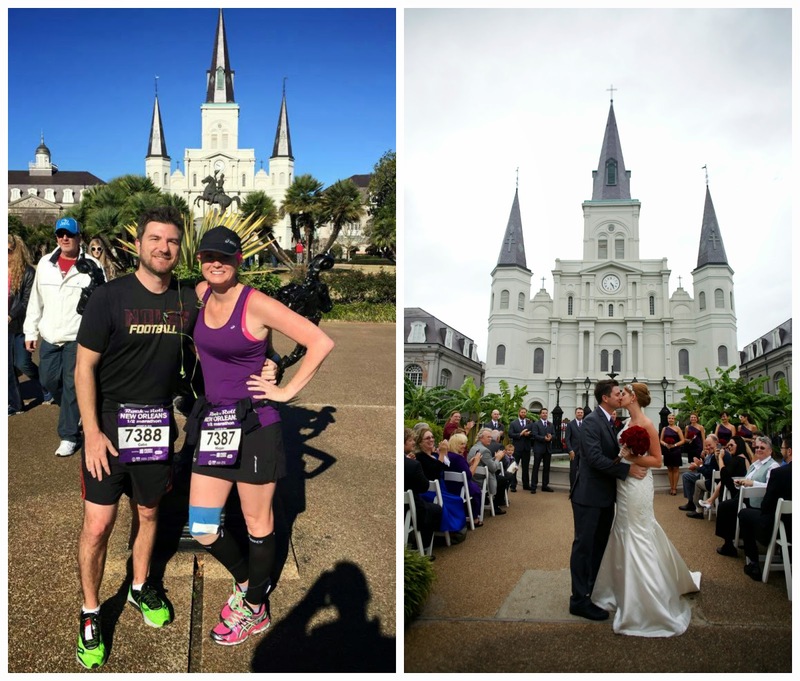 We ran the Rock n Roll New Orleans Half Marathon. We love any excuse to go back to our favorite city and will be running this race again in 2016. Let's hope this time I don't have ugly blue tape on my knee as seen in the photo above. To celebrate our third anniversary in running, my friend Nicole and I went back to where we started - Princess Half Marathon weekend. I'll be honest - I have never had as much fun running as I did during this half. Nicole and I had a complete carefree attitude about the race. We stopped for every photo opp and had one goal in mind and it wasn't time....it was to have fun. I am sad we aren't doing Princess in 2016 but we both decided to shoot for runDisney Paris instead. 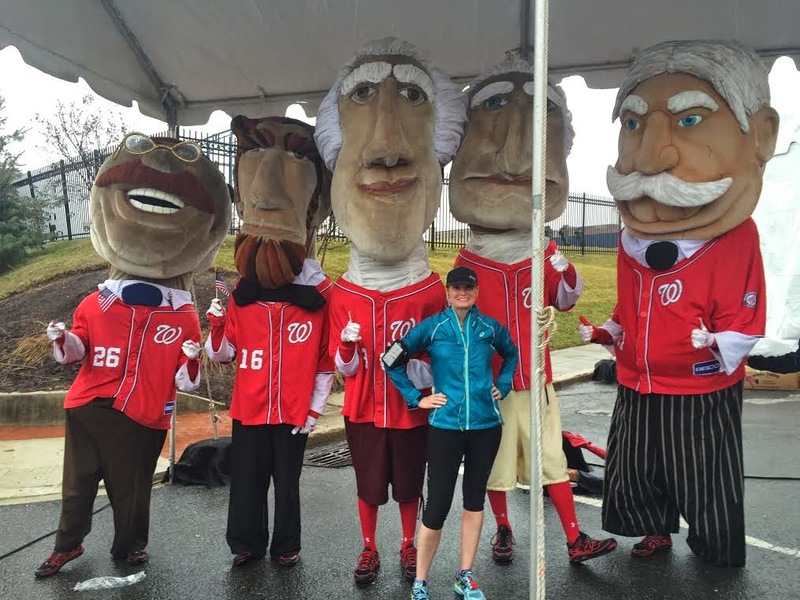 The 2015 Rock n Roll DC Half Marathon was on my bucket list for the past few years. I took my first step in DC at 10 months old (in front of the capitol building and I have photo proof). I have always wanted to visit as an adult. 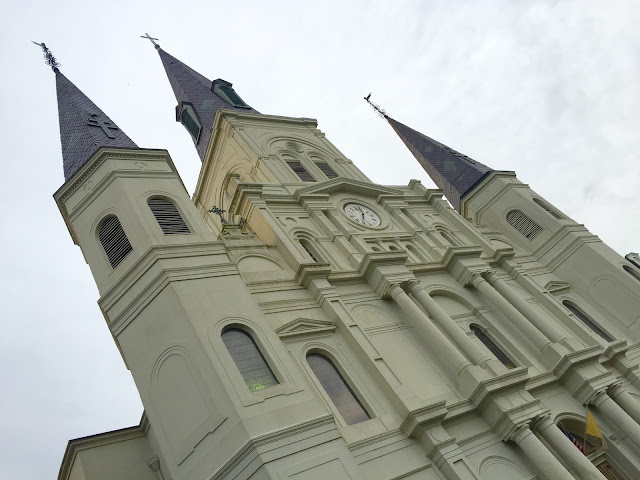 This was such an amazing trip and we would have loved to run it in 2016 except it is the week after Rock n Roll New Orleans and we cannot do two back to back destination races. I urge you to run this one! While in DC, I received the phone call that my favorite uncle wasn't doing well. We lost Russell shortly after to liver cancer. He was diagnosed with liver cancer while Gabe and I were honeymooning in October 2014. It happened so fast. Christmas was not the same without him this year - stealing all of the Prime Rib and going home with all the leftovers. We miss him dearly. I received an email the day after I got the acceptance for Chicago - would I be interest in going to Ireland and run the Dublin Marathon with ASICS, which was the week after Chicago? For those who don't know me - I am by no means a fast runner. In fact, I am a turtle. So this was a true fall off my seat moment. Of course I said yes - and more to come on this epic moment of my life. 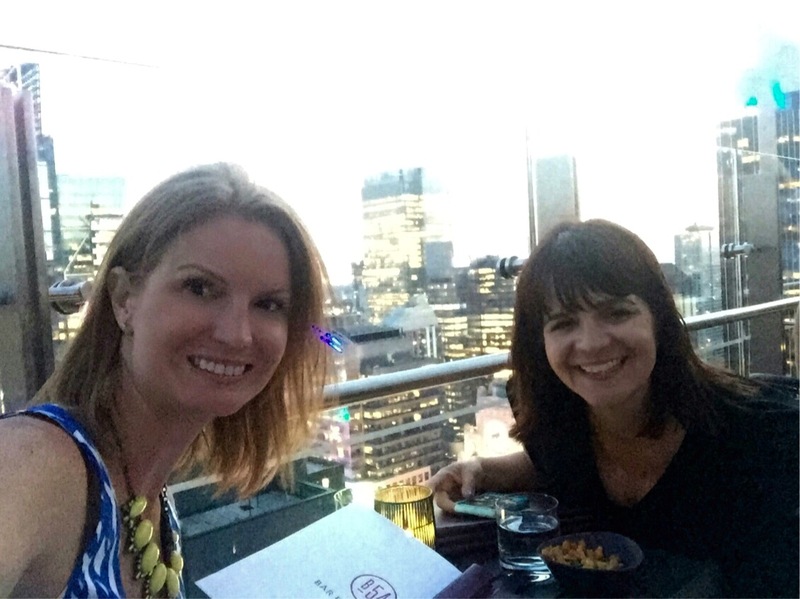 My friend Darlynn and I went to NYC to attend BlogHer 2015. It was a much different experience than we had in 2012 but we were happy to spend some time together. This was a last minute trip to cheer her up as she had a really rough summer due to a failed adoption. I hope 2016 brings Darlynn and her husband their baby. September was the most emotional month I have ever lived through.....This coming from someone who lost her father unexpectedly at the age of 52. We started the month with hopes of an exciting event. We were to celebrate my 2 year old Cousin Lana's "I beat Cancer" party on National Pediatric Cancer Day. Lana was diagnosed with Cancer at only 5 months old. She beat it twice and was in remission since July. I am tearing up writing this. We lost Lana the day before her party was scheduled, only a few days after her parents learned the cancer had returned. My heart broke, not only for the loss of her short life, but for my Cousin Mark and his lovely wife Allison. I pray each and every day for them. I can only hope that Lana's memory, their strength and love for one another will get them through this tragic loss. Death is horrible. Death of a child is something you are unable to comprehend. I have cried over Lana more than anyone I have lost, including my own father and all four of my grandparents combined. One thing I know for certain - Lana is in heaven with my Grandma, and they are shoe shopping and dancing on a daily basis. Gabe and I celebrated our one year anniversary by cruising the Carnival Sunshine, 9.27.15. While on the cruise, I learned my friend Melissa's husband Zac lost his 3 year battle to cancer, a few days before his 37th birthday. I have known Melissa since we were in elementary school and she is my best friends co-worker. It was heart wrenching to see my friend lose her husband. It really gave me a new outlook on life - and you have to live each day like its your last and never take a single moment of life for granted. Oh Ireland - how I love you so. Oh ASICS how I love you more. 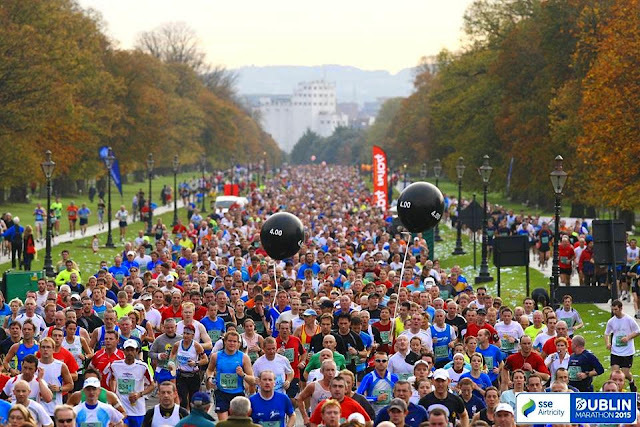 I was given a once in a lifetime opportunity to run the Dublin Marathon with ASICS America. I won't take too much of your time talking about our trip to Ireland, which you can see and read about here. 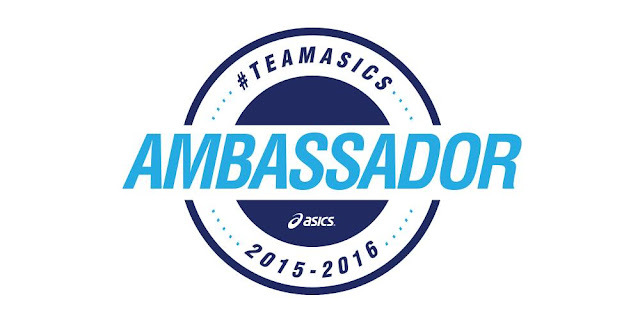 I just want to thank ASICS once more for a lifetime opportunities that they gave me. I am thankful everyday and will never take anything for granted. 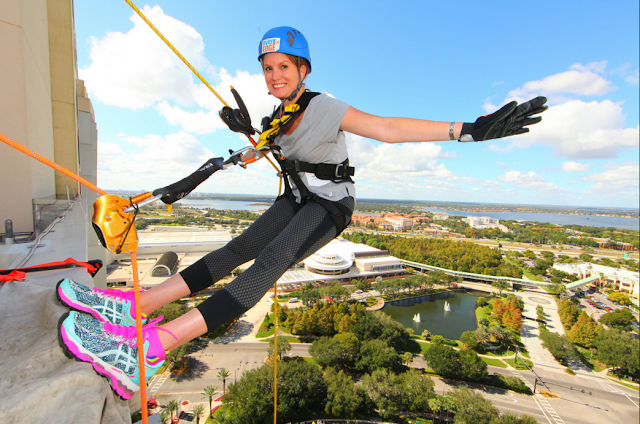 In November, I was asked to rappel down the Hyatt Regency Orlando, the second tallest building in city. I'm afraid of heights. My knees buckled and I got dizzy - why did I do it? To bring awareness to drug and alcohol abuse. The week before we left for Ireland, I got a phone call no friend ever wants to receive. My guy best friend Joel's brother took his life. While Jason and I were not close, his brother Joel and his wife Melissa are two of my favorite people. Their kids are my "fake children". Jason's family has been a part of my life for years. This was a very hard thing - seeing someone so young, a father of 4, take his life, for reasons we will never know. I did the Shatterproof Challenge for Jason and two other people in my life who decided to go down the wrong path. December brought my 1,000th post on this blog. It doesn't seem possible. 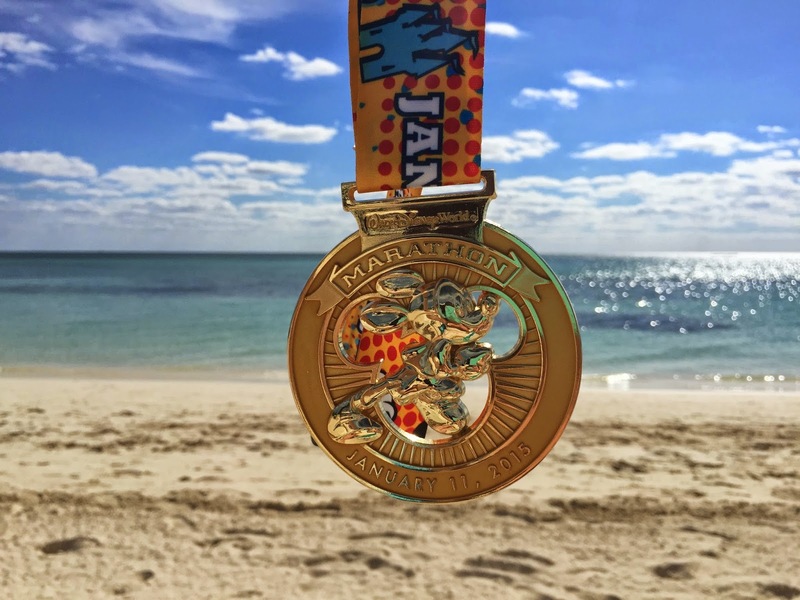 When I started this blog, I had yet to run a 5K. 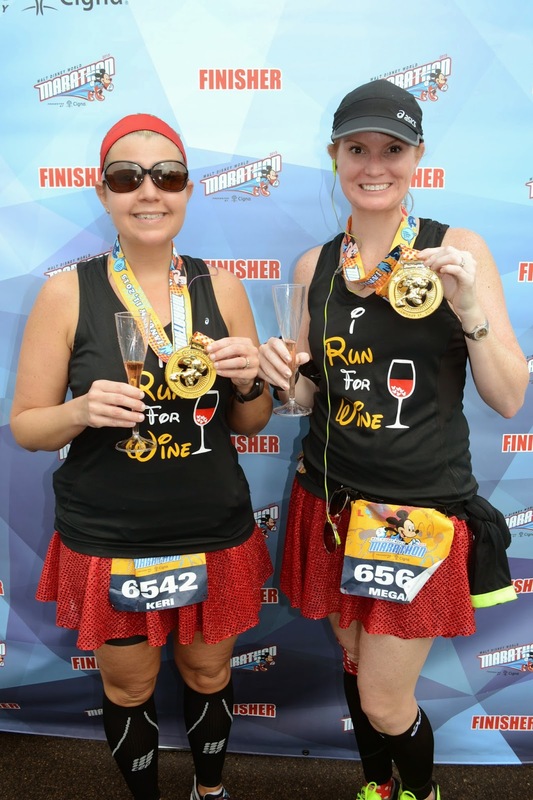 I began I Run For Wine because I was bored. My husband (then boyfriend) was in grad school while working full time. I was in a new town, new job, sitting home alone every night and one day I began blogging about my first 5K. That turned to running and random dining experiences. That my friends was the birth of I Run For Wine and I cannot believe I made it to 1,000. 2015 has been a rough year. While I am thankful for every single experience I had it was very emotional. I am looking forward to 2016. Here is what is on my schedule! Everything in italic is not confirmed or something I am hoping for. 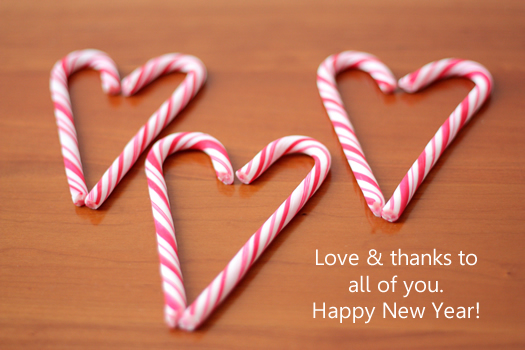 The end of a happy, prosperous and healthy year.